Why Are Generators So Noisy? 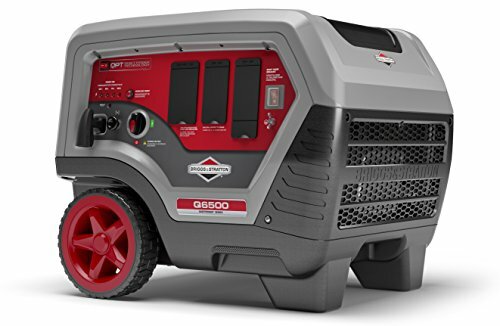 If you experience a power outage or are camping in a remote area, a generator is an absolute pleasure to have. At times, it can literally be a lifesaver. Investing in a generator silencer which goes over the fan exhaust can make a big difference in reducing generator noise. The main thing you need is light but you can generally run most essential electrical items and normally a few nice to have electrical appliances. Obviously, a lot will depend on the power of your generator. With rechargeable torches, cell phones, tablets, laptops, and GPS, having access to power is often a necessity, not a luxury. Also, the last thing you want is for food to spoil when the deep freezer starts to thaw out. If your generator looks like this it probably makes a lot of noise! Despite the value and benefits of generators, there is one major drawback – they are noisy. Some are louder than others but they all produce a vigorous buzz that can be quite annoying. Not only does this affect you but those around you as well. You don’t want sleepless nights or angry neighbors. Fortunately, there are a number of things you can do to reduce the ongoing noise a generator produces. The first tip, if you are in the market for a new generator, is to buy one of the quieter models. Not all generators are created equal and there are certainly some newer models that are much quieter than average and then there are some noisy beasts. The quieter ones run at about 50 dB and deliver between 1600 watts or 2000 watts. However, if you already have a generator then you want a way to reduce the noise so keep reading for some helpful tips. Before we get into how to make a generator quieter, let’s understand the reasons they are noisy in the first place. You will notice that some generators make less noise than others. Often that is because they use inverter technology. Without getting too technical, these modern generators use advanced electronics and specialized magnets to produce power. They supply a steady flow of power and are more silent than a traditional generator. They also tend to be highly efficient, more compact and more reliable than many other types. As a result of the modern design, additional mufflers and noise reducing features are built into the design. One drawback to inverter generators is they are not able to reach the same power output of the larger conventional generators. The design of the generator is also extremely important and some brands have a better design and construction that allows them to produce decent power without too much noise. All other things being equal, the more powerful the generator the more noise it will produce. Obviously, soundproofing and technology such as inverters will help but a larger, more powerful generator is likely to be louder than a compact low power option. This can either be factory fitted or added by yourself but the more soundproofing added to the generator the less noise it will produce. Many of the less expensive models add little to no soundproofing. We will cover how to add your own soundproofing in more detail further on but soundproofing enclosures, rubber feet, noise deflectors, better baffles, and other items can be used to dampen and reduce the noise. Quite obviously, the further away the generator is positioned, the less noise you will hear. You cannot go and put it right next to your neighbor’s house or campsite but position it such a way that is practical and not right on top of you or outside a bedroom window. 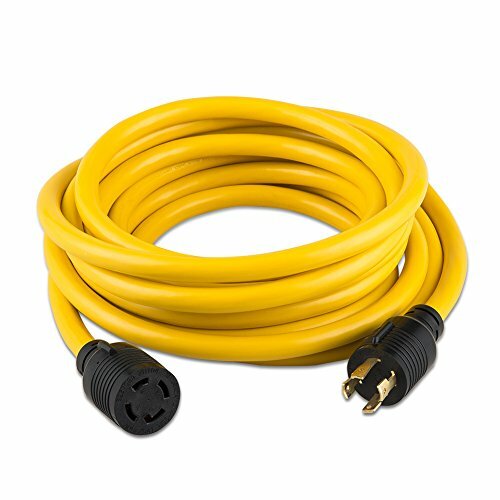 In placing it some distance away, ensure you have sufficient electrical cable to get from the generator to where you need the power. The surface on which it is placed is another factor to consider. A firm stable surface is ideal. Do not put it on a flimsy platform that will wobble and vibrate as this will only amplify the noise. You can also use anti-vibration mounts particularly if it is a permanent installation at home. A loose wooden platform will vibrate and possibly make the generator even louder. There are a number of tactics one can use to reduce the noise from a generator. Some are more effective than others but many can be used in combination to make a significant reduction in the overall noise. Some of the tips are quick and easy to while others will require a bit more effort. A standard generator will have horizontal exhaust pipes. The simple process of changing them to a vertical position will direct sound waves up into the air instead of towards you or those around you. Obviously, there will still be a fair amount of noise traveling horizontally but it will reduce the noise to some extent. At the very least, if you are not going to point the exhaust upwards, point it away from your house or campsite. While this will not make the generator quieter, it will disturb the soundwaves and help divert some of the noise away from your direction. Use something to form a barrier or a few barriers around the generator and between yourself and the generator to deflect the sound. While you might not expect this to be extremely effective it is quick and easy and will help reduce up to 10dB instantly. The best part is, it does not need to cost a cent, just use things you have lying around. The motor generates noise and most of it is expelled through the exhaust. The purpose of a muffler on the exhaust is to reduce the noise coming out. If you have ever heard a car or motorcycle with a faulty or missing muffler, you will understand how much difference it can make. While there is not much you can do about the actual motor noise, installing a bigger and better muffler can help reduce the noise the generator makes. You can use a car or motorcycle muffler on your generator. Another benefit of a good muffler is that it not only lower the noise level slightly but also lowers the pitch of the noise. This lower pitched buzz is generally less annoying than a higher pitched whine. Another way to further baffle noise coming out of the exhaust is to fit a hose or other flexible pipe to the exhaust and feed this into a large bucket of water. A bit like this…but with a generator instead of a tap and more water! This simple trick is quite effective at reducing the exhaust noise from the generator. Cut a small hole into the hose fairly high up to ensure that no water gets into the generator. Putting a generator in a baffle box is a great way of reducing its audibility. While the above tips can help to reduce the noise to some extent they are not going to come close to eliminating all noise. They will improve it but you will still have a very loud generator to contend with. The only way to get a generator truly quiet is with a soundproof box. Because the box needs ventilation it will never be completely soundproof but a well-made box will make a significant improvement on the noise coming from the generator. Without vents, the generator will overheat and this will cause damage. Now, you can buy a soundproof box for your generator but building one is not too challenging and will save you a good deal of money. If you have basic DIY skills and a couple of hours to spare, you can put one together fairly easily. Building it yourself will allow you to design and makes it exactly to your requirements and also give you some bragging rights when others admire your handiwork. Besides, it is a fun DIY project. Another benefit of this project it the materials are relatively inexpensive and this will not be an expensive job. The peace and tranquility of having electricity without a deafening roar the whole time will make it money well spent. 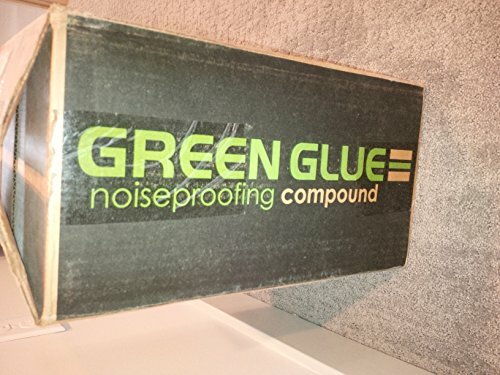 Here is a step by step guide to building a soundproof generator box. Always make sure you have everything you need on hand so you don’t have to rush out in the middle of your project. Generators come in all shapes and sizes so it is essential that you carefully measure and plan the project before anything else. You will need to leave sufficient space for airflow, the vents as well as the insulation material. Once you are sure the measurements are correct you can move on the cutting the wood. Mark the wood (MDF) according to your measurements and cut it to size. You could use other types of wood but MDF is a durable and cost-effective option that is easy to work with. Ensure you use the right angle ruler to get the corners perfect otherwise it will not line up correctly. You need a good solid fit. Mark and measure where to put the ventilation ducts. You want to use two. Place one on the top of the box, slightly off center and the other on a side wall. Cut the wood out to insert the ducts. Airflow is essential to prevent the generator from overheating. Some people install a centrifugal fan next to the engine. This can be connected directly to the generator so if it is running, so is the fan. This will ensure good airflow and keep the generator cool. The key to any effective soundproofing is layers and insulation. 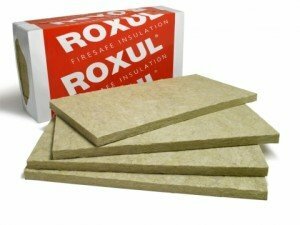 Ideally, you want an airtight box which you cannot do for this project but the better the layered insulation, the greater the soundproofing. Make sure you get insulation which is heat and flame resistant. Once you have the walls and top structures in place, measure, cut and glue the MLV (mass loaded vinyl) to the walls. The next step is to apply a generous layer of acoustic caulk. This effectively reduces energy transfer and therefore sound between the layers. There are a number of brands available but Green Glue is the most popular and comes highly recommended. You can be fairly generous with the acoustic caulk and don’t forget to apply to all corners and joints as well. Yet another layer that will further enhance the soundproofing is to glue on a layer of foam mat. While ventilation is essential, there is no need to have any other gaps or holes that are not necessary. If there are any fill them in with acoustic caulk. Finally, everything is in place and the layers are added. Using the screws and nails, assemble the box. Don’t cut corners with this process as it needs to be snug. Any vibrations will reduce the soundproofing effect. You will need to get to the generator from time to time as well as the controls so a hinge is necessary. You could also use a rubber flap over the controls to make access easier and provide some protection for the controls. Poor ventilation is dangerous and can do damage to the generator so a venting duct is essential. Be generous with it and use a fair amount. Don’t worry your ventilation duct doesn’t need to look as professional as this! It is a good idea to check on the venting ducts from time to time to ensure there are no blockages. This is step is fairly self-explanatory but you will need a channel for the exhaust outlet. Your design and construction will differ slightly depending on whether you keep the generator in one place such as at home or move it around. A fixed generator housing needs to be sturdier and have good weatherproofing. Check on it annually to see if any maintenance is required. If your generator looks like this it definitely needs some serious maintenance! Some people build brick enclosures instead of the wooden box but they are likely to be less effective than a well made soundproofing box as described above. A portable cover will still be exposed to the elements so make sure it is able to withstand the sun and the rain. You could install a handle to make it easier to lift and reposition when necessary. As much as you want to prevent noise from a generator, avoid running or installing a generator in a building or enclosed structure (other than a specifically designed soundproofing box). The exhaust fumes are dangerous and deadly in high concentrations. Another point is to avoid placing it near any flammable material. There is no doubt that generators are very handy and when there is no power you will grateful to have one. Living with and trying to sleep with the constant noise can be very unpleasant so make every effort to reduce noise as much as possible. You want to avoid as much of the annoying buzz as possible so you can relax and enjoy having electricity without constantly being irritated by the loud noise. Many of the tips and tricks above will help lower noise levels but a sturdy, well-built box with layers and acoustic caulk will do wonders. It is a project you will not regret.